Is This Proof The New Mercedes C-Class Will Come With KERS Tech? Take a close look, the evidence is clear. We’re still not totally convinced Mercedes , and that’s largely because of this: The Mercedes C-Class Coupe. 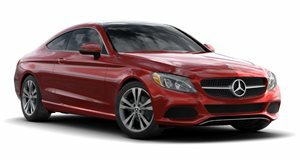 With direct competitors in the shape of the Audi A5 and BMW 4 Series, it made sense for Mercedes to introduce the coupe just a year after the sedan (instead of the four years it took with the previous generation). And with the sedan and wagon in the midst of a midcycle refresh, it comes as no surprise to see, courtesy of our spy photographers, the Mercedes-Benz out and about testing the C-Coupe. More of a surprise is the fact Mercedes appears to be testing a KERS system in the new C-Class. The Formula 1-derived technology has been hitherto reserved for cutting-edge road cars like the Ferrari LaFerrari but as with , and the C-Class could be the first to adopt it. By storing the kinetic energy that’s generated under braking, fuel consumption can be reduced, or the energy can be converted into delivering more power. Evidence that Mercedes is set to implement KERS can be seen in the form of a hub behind the front wheels that makes up part of the kinetic energy recovery system. We can also see a fresh headlight design up front and the prototype’s camouflage points to new bumper graphics. The interior will doubtless be refreshed in line with its E- and S-Class siblings with an all-digital screen, as well as a new steering wheel and dash, although we’re not expecting to see the facelifted C Coupe before 2018, a year or so after the refreshed C Sedan is revealed.